Anyway, we had lots of fun at their family session, even though we had to work around some tricky, unpredictable weather. The night of our session, they were calling for possible storms, but we decided to make a go of it, and the weather turned perfect for us. We got gorgeous golden hour light for our session, and then shortly after our session was over, a storm rolled in, so we made it just in time! And I have to give props to these kiddos. 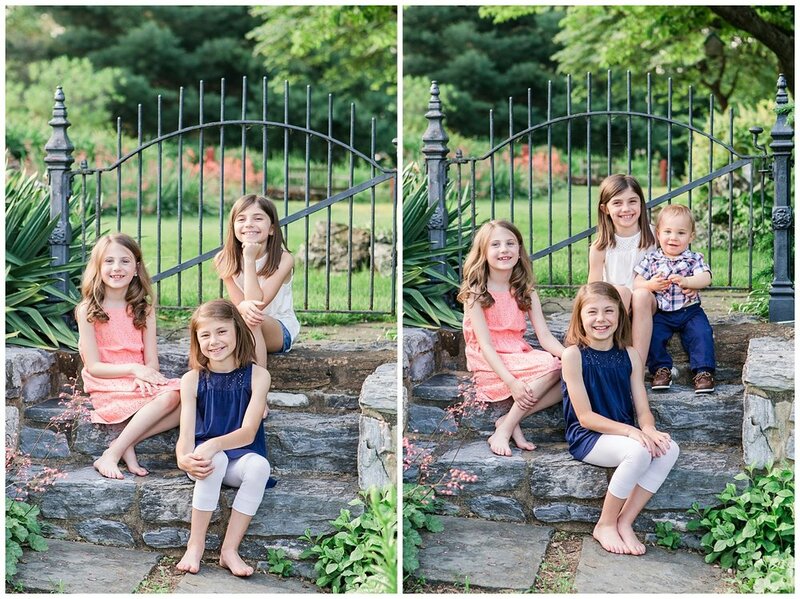 These beautiful girls made my job so easy with their quick, easy smiles and fun personalities. They even got their little brother to sit still for a few pictures, which is no small feat when you're talking about a 15 month old. Big sisters are cool like that.